It's WAPL's 11th Birthday this week! 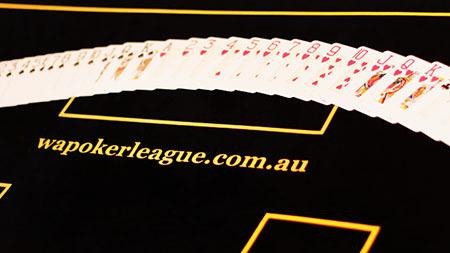 This week, we celebrate 11 years of Western Australia's first Poker League, WAPL! We'd like to thank all our members, past and current, for helping us shape the league over the years. We're really happy with where we're at, with a great range of games for players from brand new learners to hardened veterans of the game. Our tournaments are second to none in fun and payouts for what you pay to play, and our cash tables are professional, fair, and respectful. We welcome you down this week to help us celebrate at the Woodvale Tavern on Thursday night from 6pm. There will be some extra special prizes, some goodies we've picked up over the years, which we are sure will make worthy trophies for your poker collection! Spread the word, and we look forward to hosting you for another fun night with WAPL as usual!